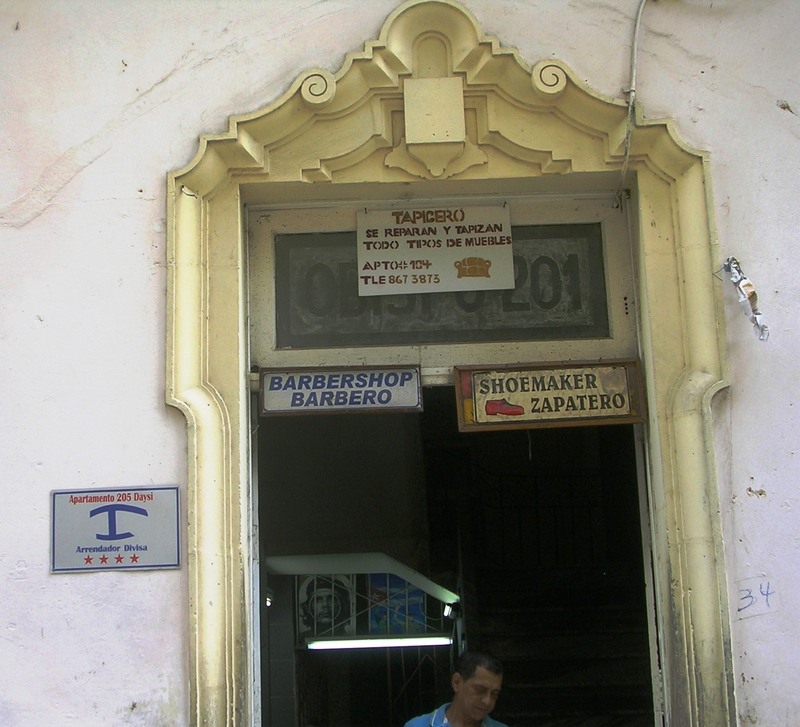 SHOULD CUBA REMAIN A ONE-PARTY STATE? 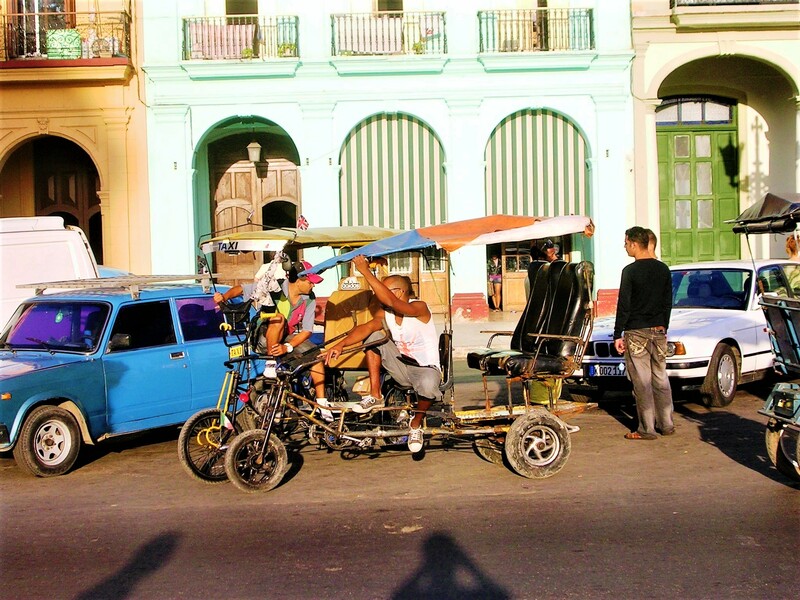 HAVANA TIMES — In Cuba the one-party state is a very controversial question that few of the left-wing critics of the Cuban regime have been willing to address. 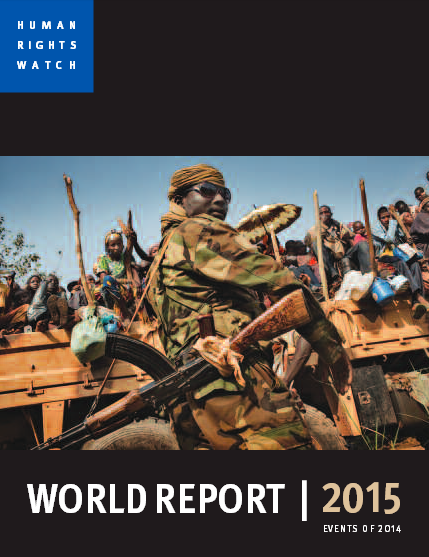 What follows is an attempt to explore, from the left, some of the issues around this topic. In the first place, the abolition of the Cuban one-party state is one thing, separate and apart from the political system that would replace it, whether without or with many political parties. 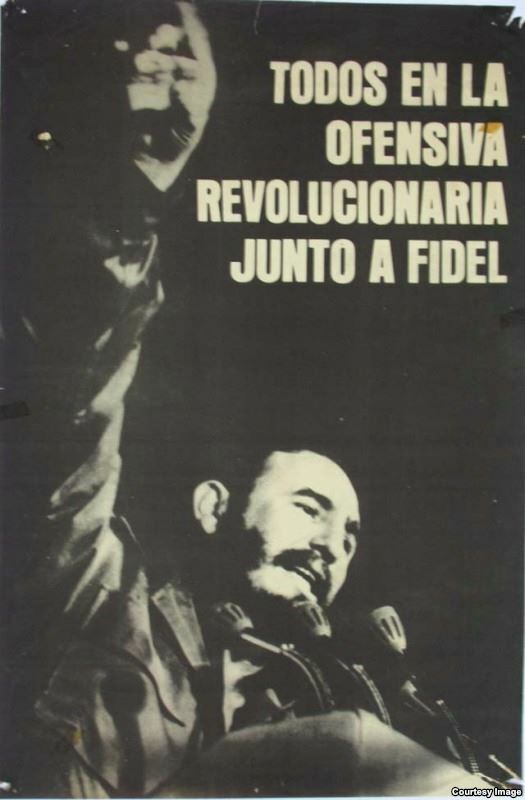 In reality the Cuban Communist Party (PCC, its Spanish acronym) is not a party – which would imply the existence of other parties – but the organ that monopolizes the political, social and economic life of Cuban society. 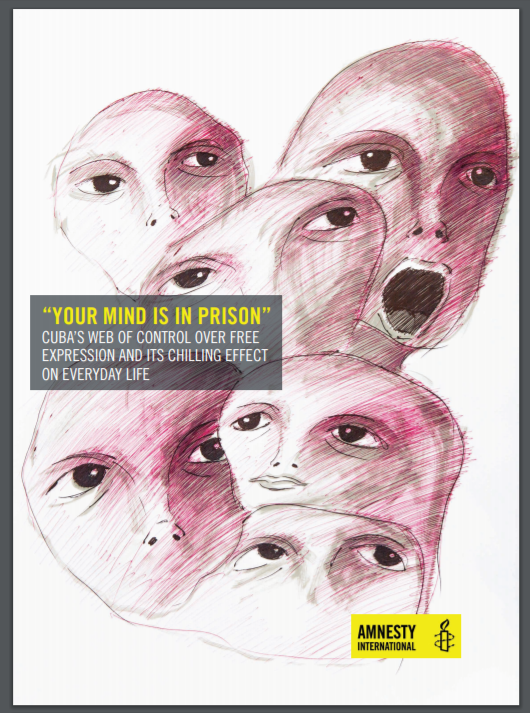 This monopoly – explicitly sanctioned by the Cuban Constitution – is based, among other authoritarian mechanisms, on the control of Cuban society through the so-called mass organizations that function as transmission belts for the decisions taken by the PCC. 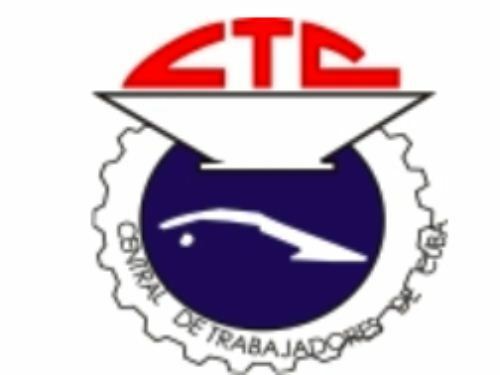 For example, the CTC, the official trade union central, is the transmission belt that allows the Cuban state to maintain its monopoly of the organization of Cuban workers. 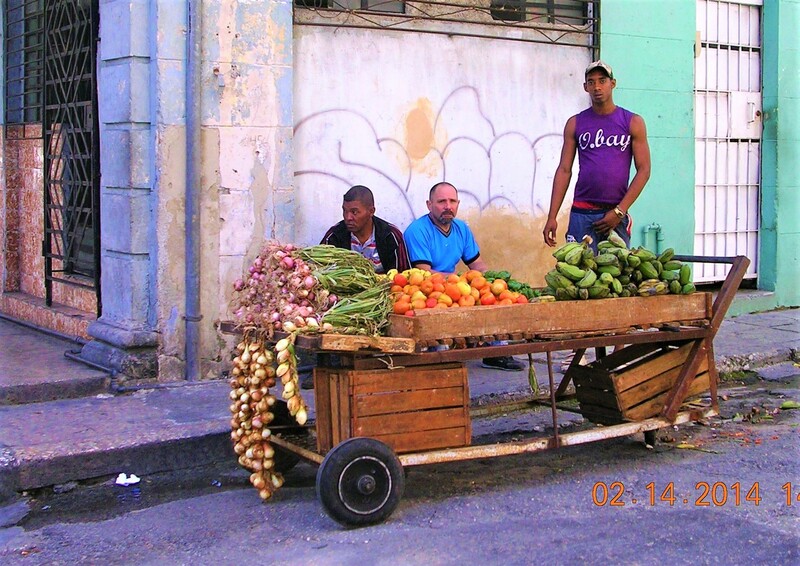 Many left critics of the Cuban regime will agree that workers (and all other Cubans) should have the right to organize themselves independently of the PCC to struggle for their own interests. Taking this notion to its logical conclusion would imply the abolition of the one-party state system, including its control of the mass organizations that function as the transmission belts for the Cuban Communist Party. 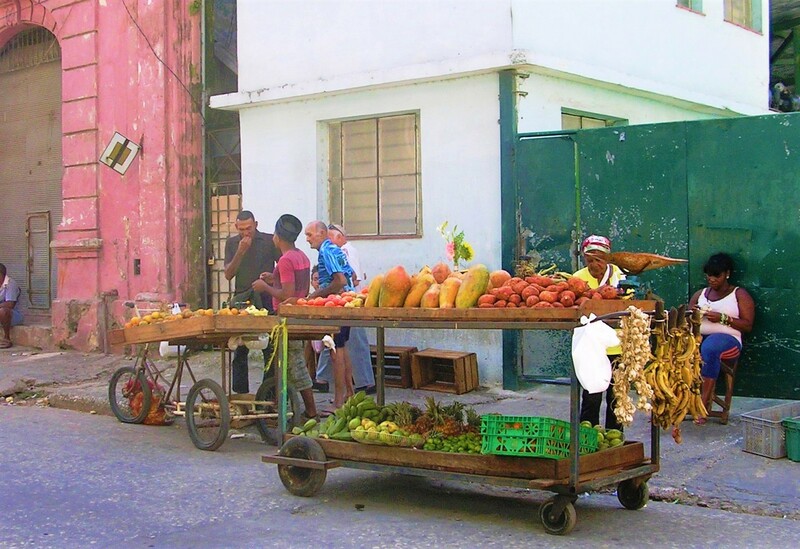 Cuba’s dominant system is going through a transformation – likely to accelerate after the historic leaders of the revolution pass away – towards the Sino-Vietnamese model of state capitalism under the direction of the PCC, which means that the need to abolish the one party state system with its transmission belts will remain in effect. The modern political parties came into being in the nineteenth century as suffrage expanded. As sections of the ruling class felt increasingly threatened, they organized themselves politically to defend their class interests, typically in conservative, liberal and, sometimes, Christian parties. There have been times when a ruling party represented one whole social class, as was the case of the Tory party in the U.K. in various historical periods. 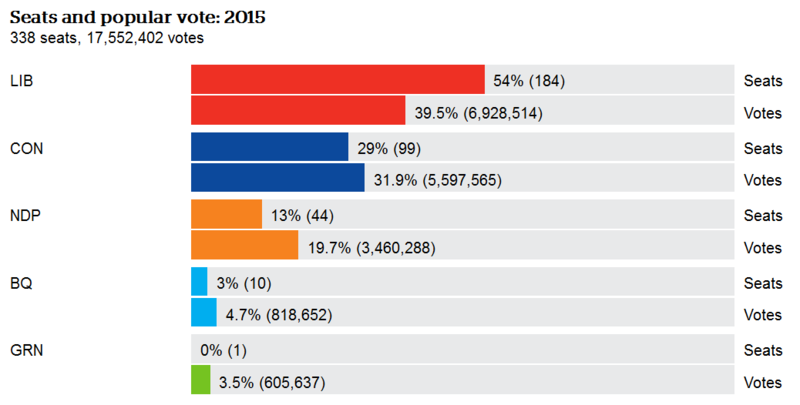 More frequently, however, different parties have represented different sectors of the ruling class. Liberals and conservatives not only represented material conflicts within the ruling classes, as for example the interests of the great landlords against those of the new industrial capitalists, but also ideological conflicts of pre-capitalist origin concerning the power and role of the Catholic Church in society. Aside from representing different sectors of the ruling classes, these parties also incorporated intermediate sectors of society, such as independent professionals and small businesspeople, and tried to coopt popular expectations and struggles in a manner that would not threaten the fundamental interests of the powerful. In many occasions, the so called middle classes and strata also organized their own political parties especially in parliamentary systems with proportional representation (which historically propitiated the creation of numerous parties.) 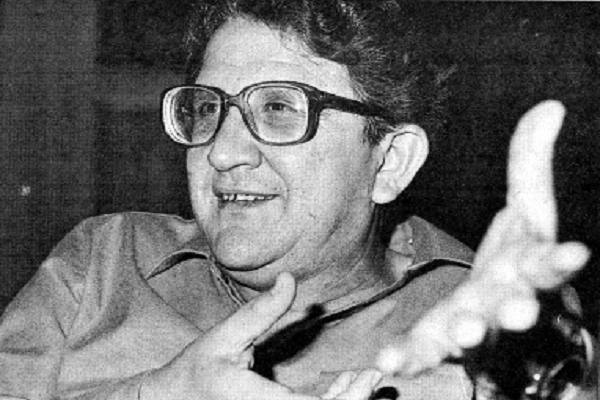 In Cuban political history, we have the case of the Ortodoxo Party founded by Eduardo Chibás, a party principally based on the middle classes but with a growing multi class support. But the fact that this party implicitly or explicitly accepted Cuban capitalism does not mean that it was an expression or had an organic relationship with the ruling classes. That means that, historically speaking, the relationship between class and party has not been unequivocal: the ruling class has usually not been a monolith and has generally not been represented by a single party. This has also been certainly the case with the working class, the representation of which has been assumed by such diverse parties as social democrats, communists and social Christians. In the case of the classical social democracy that represented the working class through its close links with the unions, its growing conservative tendencies were not merely ideological but also represented the growth of a union bureaucracy, which based on the power that the unions had acquired, had the possibility of extracting sometimes significant concessions from the ruling classes. These concessions helped to demobilize the workers and solidified a bureaucracy more concerned with protecting its huge investments in the union infrastructure than in risking everything in pursuit of a revolutionary break (like in the Europe of the first postwar period) or in resisting imperialist war making (1914). This was the history of the very powerful and supposedly revolutionary Marxist German Social Democracy, whose bureaucratic-oligarchic model was portrayed by the Italian-German sociologist Roberto Michels in his classic Political Parties. 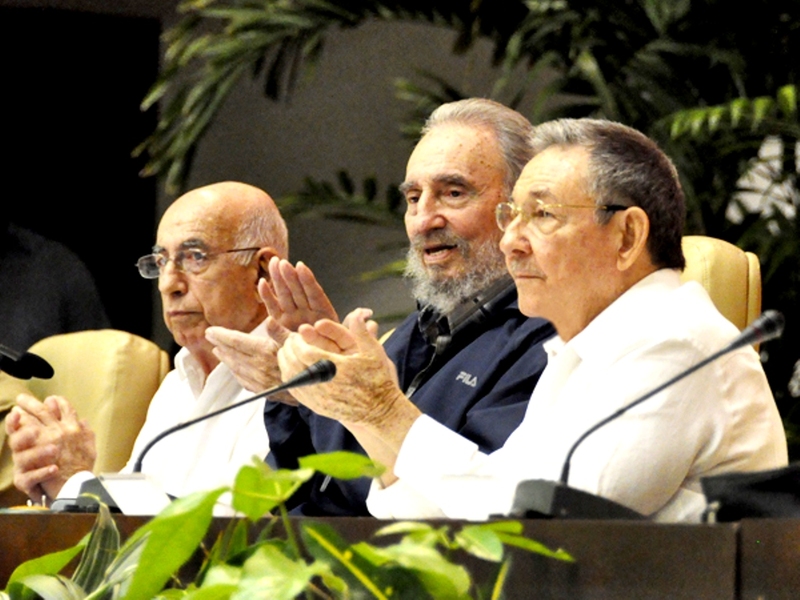 First Vice President Juan Machado Ventura, ex-President Fidel Castro and President Raul Castro at the last Communist Party Congress in April 2011: No end in sight for the CPP – for little while at least. In reality classes are heterogeneous; they are torn by inner antagonisms, and arrive at the solution of common problems no otherwise than through an inner struggle of tendencies, groups, and parties. It is possible, with certain qualifications, to concede that “a party is part of a class.” But since a class has many “parts” – some look forward and some back – one and the same class may create several parties. For the same reason one party may rest upon parts of different classes. An example of only party corresponding to one class is not to be found on the whole course of political history – provided, of course, you do not take the police appearance for the reality. With respect to the multi party systems of capitalist societies: there is no doubt that political democracy has seriously deteriorated throughout the world. Political parties are increasingly devoid of content and subject to the demands of the shallowest kinds of political marketing, a process that has been aggravated by the huge costs of political media campaigns, particularly in the U.S., which in turn has closed the access to the big media for nascent movements and candidates who oppose the existing system. Also, parliamentary bodies have been declining, and many of their powers have been taken over by the executive branches, which unscrupulously use the doctrine of state secrets to protect their newly assumed prerogatives. As a result, political apathy, ignorance, and abstention have become prominent features of capitalist democracy. While this is fatal to any notion of democracy built on the participation and control of an active and informed citizenry, is has certainly been convenient and highly functional to a capitalist system that structurally privileges private and corporate economic power at the expense of public regulation and democratic control from below. But let’s suppose that Cuba’s one-party state will be abolished. Whether we want it or not, new parties will develop once repression and the legal and constitutional obstacles against independent party organizations have ceased to exist. Shall we demand then that those new parties are suppressed, or instead of that, shall we engage wholeheartedly in the propaganda and political and ideological agitation against the inevitable neoliberal and reactionary wave that generally has succeeded bureaucratic Communism throughout the world? Those are the circumstances, when we could struggle, for example, for a new Constitutional Convention to publicly debate the critical question of the kind of society that should replace bureaucratic Communism, debates that should include, of course, our arguments in favor of the construction of a socialism based on democracy and liberty. This debate would also be a strategy to prevent the immediate recourse to electoral campaigns and their marketing focused not on political programs but on individuals, many of who are going to be financed, among others, by the rich Cuban-Americans in Miami. To confront this plutocratic possibility, we could, for example, campaign for the exclusively public financing of all electoral activity, including free access to the mass media and distribution of public funds according to the popular backing for each political group. But let us assume the optimal case – unfortunately very unlikely under the current circumstances – of a broad mass movement replacing the bureaucratic one-party system with a revolutionary and democratic socialism based on the fullest liberties and on worker, peasant and popular self-management. In that case, what would be the meaning of the unity that many Cubans have wished for? To the extent that there are common interests – material as well as ideological and political – we should aim for a unity based on joint political activities and negotiations to form alliances based on shared political interests and principles. But this need not be the “monolithic unity” propagated by Raul Castro and other revolutionary leaders, which has meant censorship and the suppression of different point of view even within the ranks of the revolutionary government. As Rosa Luxemburg put it, freedom is for those who think differently. It is mistaken and dangerous to assume that there will not be important conflict of interests as well as of points of view among the popular classes under a revolutionary and democratic socialism. There is no reason to think that class conflict exhausts all possible social conflicts, including those based on strictly material questions. For example, one fundamental questions for any society, be it socialist or capitalist, is the rate of accumulation, or in other words, what part of economic production is to be immediately consumed and what part is to be saved to insure the reproduction of society and the improvement of the standard of living. In capitalism this is decided through the decisions of the ruling class within the framework of the market economy that favors and consolidates its power. Under socialism, this decision would affect every social group because it would determine the resources to be available resources for each work and community center. It is to be expected that differences over this question will develop between, for example, those who want to enjoy a better standard of living today and those who are more concerned with the standard of living of future generations. In that case, how would those differences and conflicts be organized into coherent and systematic alternatives so they are decided democratically? That would be the critical function of parties under socialism, educating and agitating in favor of alternative visions of the road that society can or should take. 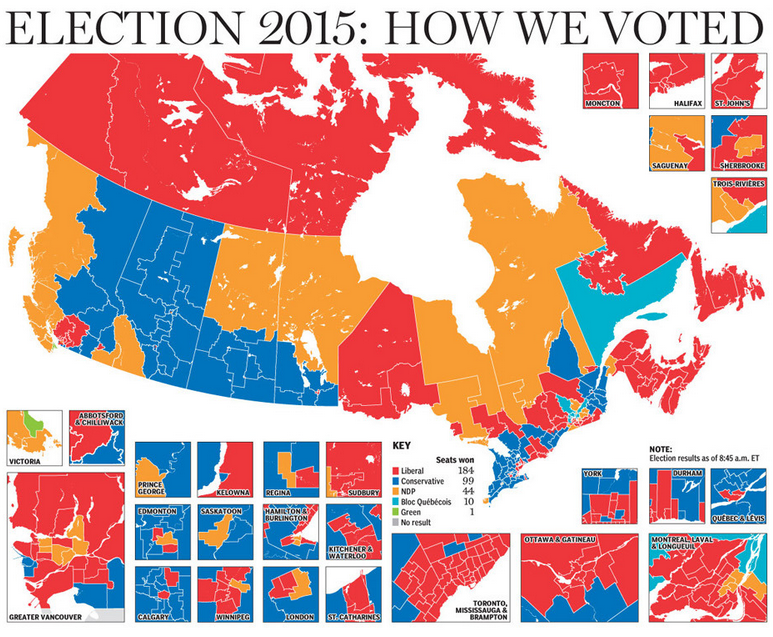 I hope that this discussion on the one-party state continues. 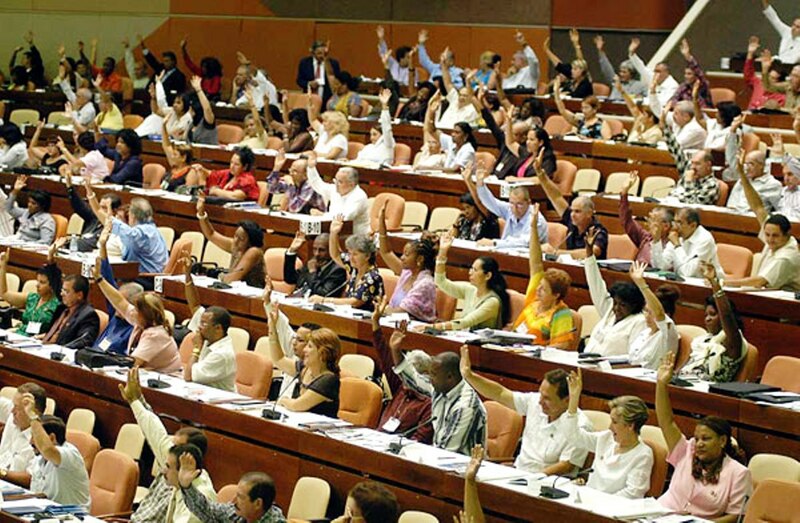 The topic is too important to ignore it; it is one of the kernels of the thoroughly undemocratic system ruling in Cuba. 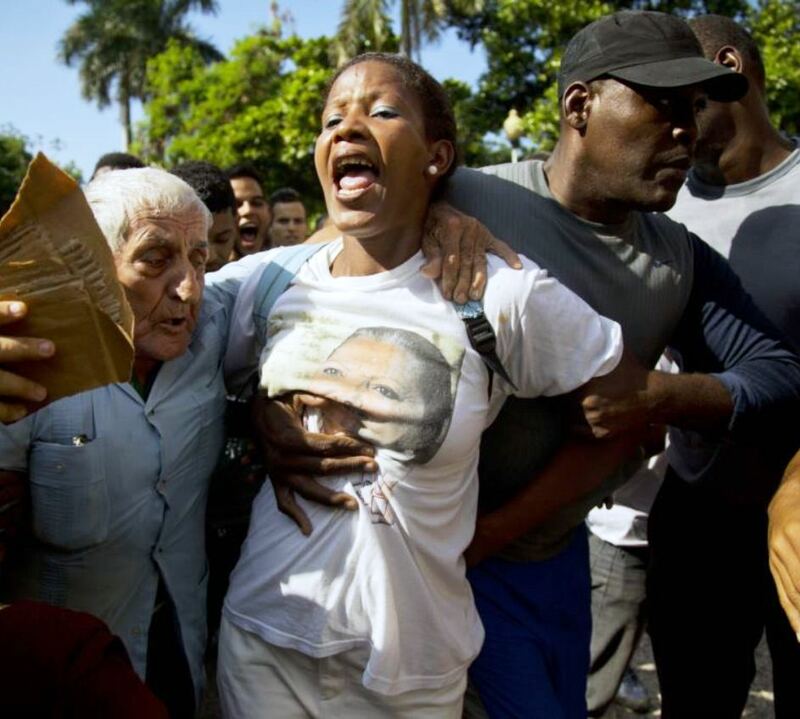 Cuban police carried out more than 150 detentions of dissidents Tuesday on International Human Rights Day and followed up Wednesday by carting off the founder of a group that was holding a rare human rights congress, according to activists in Havana. 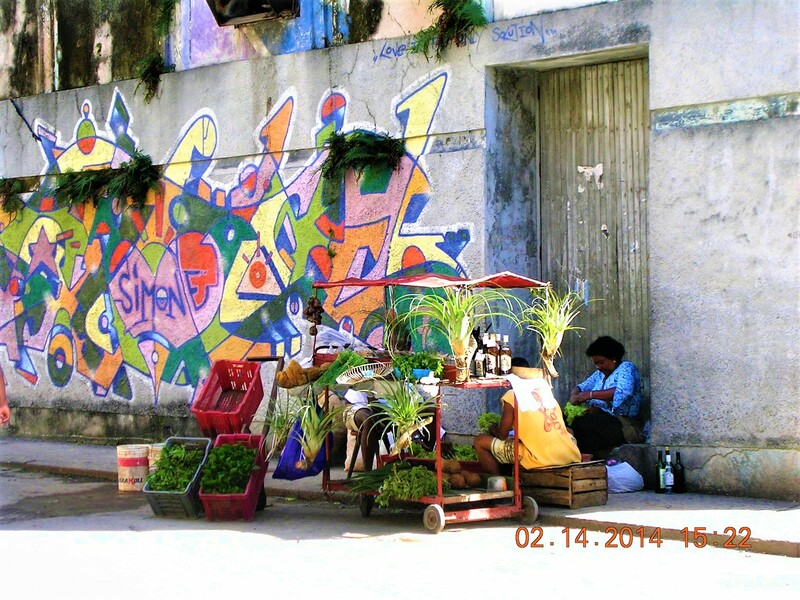 Antonio Rodiles, founder of the group Estado de SATS, was taken away by police Wednesday around 11 a.m. as he watched a group of children write graffiti on the sidewalk in front of his home, activist Elizardo Sanchez Santa Cruz said. Dissident blogger Regina Coyula, who was in Rodiles’ house participating in the First Congress for Human Rights, told reporters that Rodiles was detained when he intervened with police who were harassing his girlfriend for taking photos of the children. Estado de SATS and two other independent groups sponsored the Congress, which started Tuesday on the anniversary of the U.N.’s Universal Declaration on Human Rights and was to end Wednesday night with a musical concert. 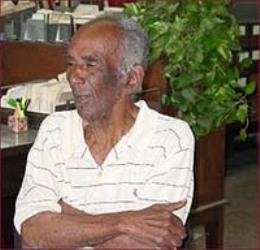 Sanchez Santa Cruz, head of the illegal but tolerated Cuban Commission for Human Rights and National Reconciliation, said he had information on more than 150 detentions on Tuesday and was still receiving new reports as of Wednesday evening. All but a handful had been released by Tuesday night after so-called “short-term arbitrary detentions for political motives,” usually designed to intimidate or harass dissidents and keep them from attending opposition gatherings. 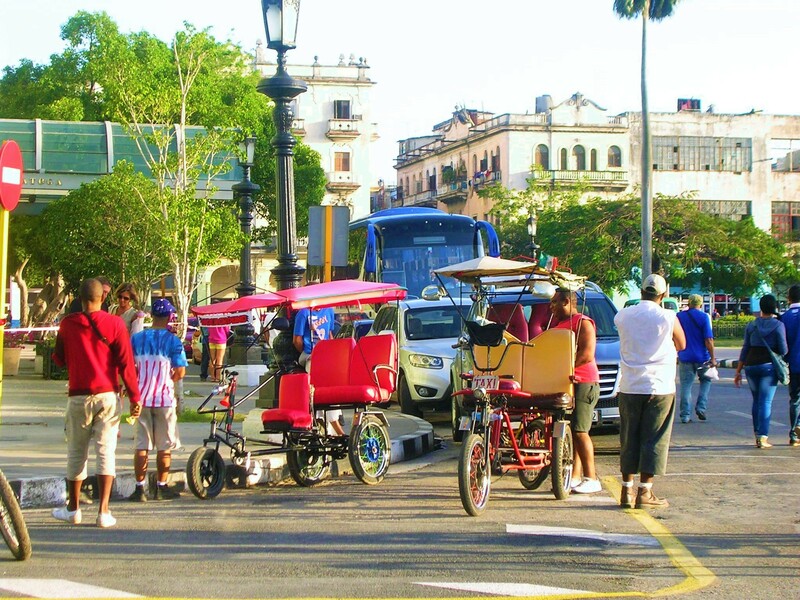 “That’s not counting the harassment and other acts of vandalism because there was a lot of violence by the forces of repression along the entire country,” Sanchez Santa Cruz said by phone from Havana. Reports of more detentions were still arriving at his Havana office Wednesday because government security forces shut down the cellular and home phones of several hundred activists for much of Tuesday, he said. 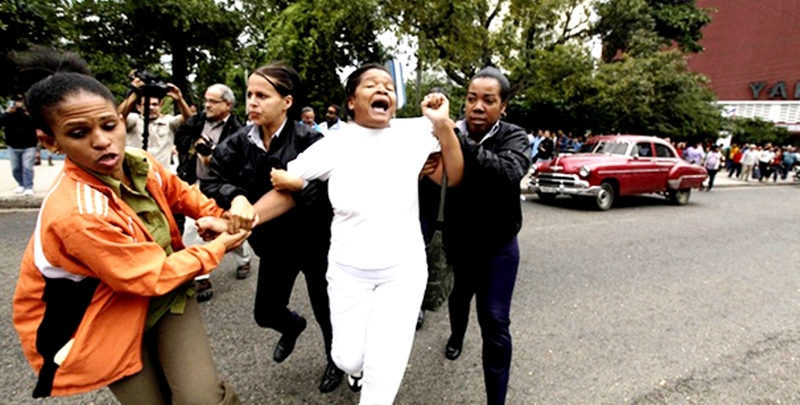 The dissident group Ladies in White said its members alone suffered about 130 detentions as they tried to stage street protests — not tolerated by the government — in downtown Havana and the eastern city of Santiago de Cuba, the country’s second largest city. 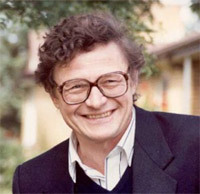 Others were detained as they tried to reach Rodiles’ home to participate in the two days of panel discussions, video programs and art shows, according to dissidents. Also detained were several members of the Cuban Patriotic Union, an opposition group most active in the eastern part of the island. UNPACU founder Jose Daniel Ferrer said more than 130 UNPACU and Ladies in White members were detained Tuesday in eastern Cuba alone amid a string of protest meetings, marches and distributions of anti-government leaflets and posters. Several dissidents were injured when government-organized mobs and State Security agents threw rocks at them, Ferrer said. Mob members and police also made off with cameras, cell phones and cash taken from many of the opposition activists. 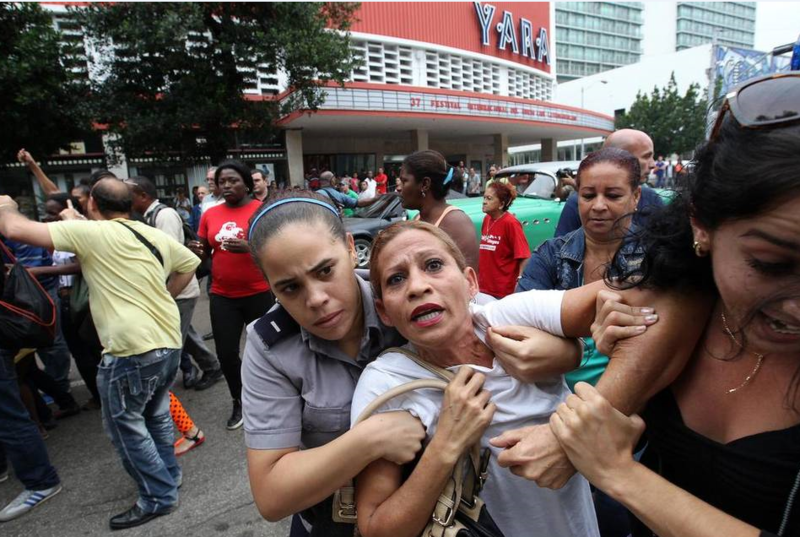 A member of Ladies in White is detained by Cuban security before the start of a march marking International Human Rights Day in Havana, Dec. 10, 2013.